This entry was posted on March 31, 2016 by Y Hasegawa. It is a blast to get their emails: "Finally! You sell exactly what I've been looking for all these years!" 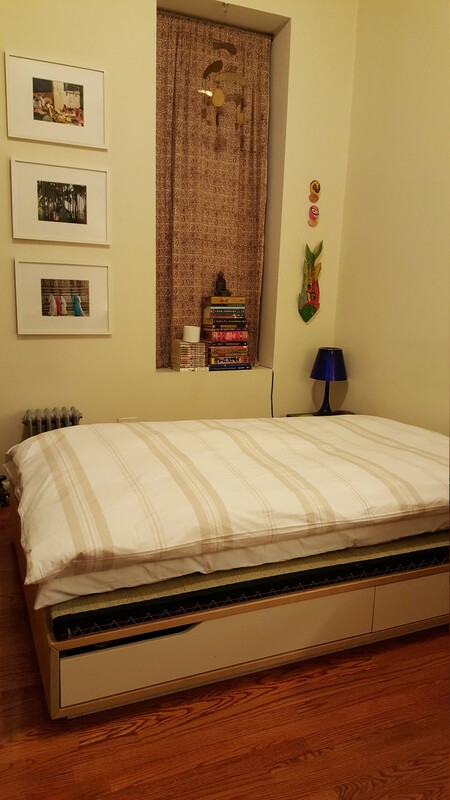 I just wanted to check in with you now that I've slept on my futon for a few nights to let you know that I'm really happy with it and to thank you so much for all of your help! I just filled out the customer satisfaction survey. I've attached a couple pics (not the greatest) in case you want to use them in the blog/reviews section of your website. I am so happy with my purchase and so grateful that your company exists. 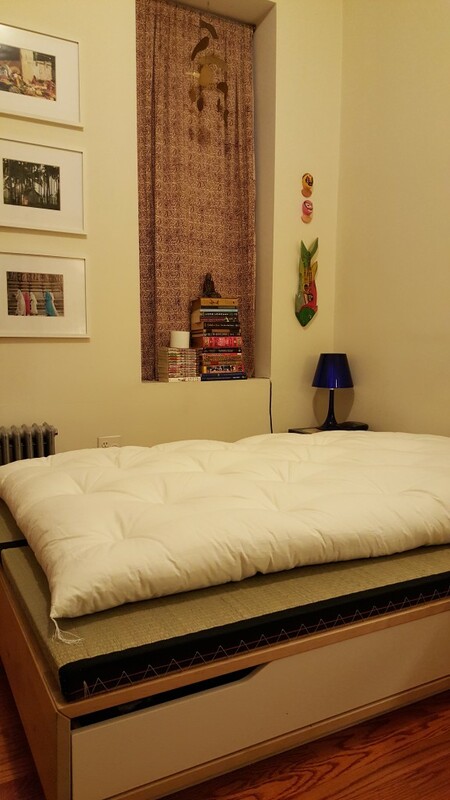 I searched for a place to buy a traditional Japanese futon after returning from a trip to Japan a few years ago and couldn't find anywhere that I felt was selling an authentic product, let alone somewhere/someone who made it so easy and made me feel so comfortable. I knew from the minute I found your website that I was getting exactly what I'd been searching for. Of course I was very grateful to receive her comments . . . but then she wrote again in a follow up email (below). I just woke up and had to send you a quick email to say thanks again, I love my futon more with each night! You can't imagine how happy I am to be getting a restful sleep. It is so comfortable and I really love that it is all natural. While I was getting rid of my Western mattress I took a good look and was horrified by all the synthetic materials from which it was made. Anyway, I just wanted you to know how grateful I am that you've made authentic Japanese futons so accessible. The Shikibuton (mattress) on the bottom is ours. 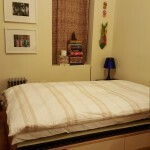 On top is a down-filled comforter that Jan already owned. It looks great!